NET is an amalgamation of many principles taught in chiropractic colleges and other universities. 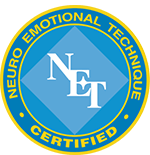 NET utilizes the neuro-mechanisms of Manual Muscle Testing (akin to, but not the same as, Applied Kinesiology), the physiology of emotions, Pavlovian Response, Acupuncture meridian correlations, Repetition Compulsion, and memory and physiological response (including Semantic Response). In NET, Manual Muscle Testing is used to access the physiology of the body, which includes the physiology of the emotional response. Muscles will usually test strong when a patient makes a statement with which he is congruent, where in contrast a muscle will usually test inhibited (weak) when the patient says a non-congruent statement. This dynamic has been scientifically validated by Monti, et. al. (Monti, Sinnott, Marchese, Kunkle and Greeson, Perceptual and Motor Skills, 1999, 88, 1019-1028). The physiology of emotions is based on the science that emotions are related to minute proteins in the body called Information Substances. Information Substances are comprised of neurotransmitters, neuropeptides, hormones and other specialized information molecules that permeate the entire body, including our DNA. Most remarkable is the finding that virtually every neuro-chemical produced in the brain is also produced in white blood cells and usually in the intestines as well. To some extent, the field of psychoneuroimmunology has suggested that the “mind” is part of every cell. Dr. Candace Pert’s discovery of a natural opioid peptide neurotransmitter (beta-endorphin) was one of the first major steps in demonstrating this concept. Pavlovian Responses are well known because of Pavlov’s work with conditioning and dogs. It is also known that humans can have conditioned responses (physical and emotional). While conditioning is normal under most situations, so is the physiological counterpart of elimination of a conditioned response (extinction). Simply stated, normal extinction associated with a stress-related response sometimes does not take place — in these cases, the NET process can assist the body in completing the natural and normal physiological process of extinction. 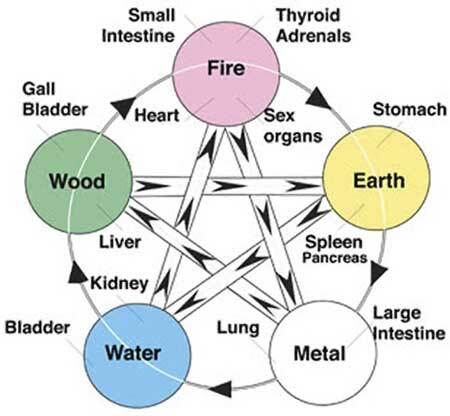 Another key dynamic of the NET process is a 1,500 to 4,000-year-old principle, known as the Five Element Law. This acupuncture theory has been clinically validated in associating specific emotional responses with specific meridians. Classic examples include, “Over Sympathetic” is linked to the Stomach meridian, “Grief” is linked to the Lung meridian, “Anger” is linked to the Liver meridian, “Fear” is linked to the Kidney Meridian, etc. Repetition Compulsion, one of Freud’s many contributions, essentially notes that once we have been traumatized (and also in NET’s view, “conditioned”), we may non-consciously seek to repeat a similar pattern in the future. Essentially, stress patterns from the past (if unresolved) will sometimes reappear when stimulated by similar circumstances (Stimulus Generalization). A key component of the NET process is touching into the stress pattern to extinguish the original cause. This principle is echoed from our chiropractic roots with DD Palmer’s quote, “Enquire what state of mind at time of taking disease or accident then deny the cause.” (from Old Dad Chiro by Vern Gielow. Published by Bawden Brothers Inc. 1981). The association of memory and a physiological response is also a well-known fact. When we remember a past event, the body replicates a similar physiology that occurred at the time of that event. (On the Primacy of the Brain, Hassan, A.M., Ward, P.S., The University of Leeds, Psychology: Research and Reviews, Spring/Summer 1991, Vol. 10, No. 1 & 2, pg. 103-111). A classic example of this can be demonstrated by asking you to visualize a big tray of lemons. Now imagine that someone cuts a lemon in half and hands it to you. You smell the lemon and take a bite of the lemon (including the rind). You can feel the lemon juice saturate your tongue and trickle down your throat. Is your mouth watering? In most cases the reader is now experiencing an increased production of saliva. 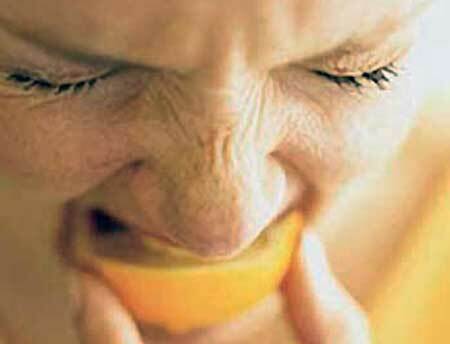 This happens because we have a memory of what a lemon is like, and our physiology responds to that memory. Likewise, the principle of Semantic Response works because words carry a meaning and the body responds to that meaning. For example, a person who has a “scared” physiological response to a spider may also have a similar response when just the word “spider” is mentioned.